Free Exterior House Painting With Siding Replacements - Eco Paint, Inc.
Siding repairs and replacements normally does not include free exterior house painting from any painting contractor, but this week we were able to combine the two discounting exterior painting being free to one of our Service Magic painting customers, discounting the exterior painting of new Masonite™ siding, being free. spending it on things we enjoy, exterior house painting not being one of them. Getting a free house painting job is not your typical or ordinary cost estimation for home improvements, so having this exterior knowledge below will save you thousands of dollars in the long run. Always working with one's budget, we were able to come to an agreed price doing both, adding a second painting of an exterior home at regular price to boot. Both of us feeling like we are winners with the work and custom home improvement painting costs. As a painting contractor here in Denver/Aurora, one cannot read any materials found here on this blog or web site, without reading the phrase "House painting adds value and paint protection". With this most recent exterior painting job in Aurora Colorado, it is a testament to my zeal and aspirations of Exterior Paint Protection. Below, we will be focusing on one of the most common exterior painting surfaces in Colorado, which kept up and maintained, will last a life-time. Just like changing oil in a car, keeping oil changed on a regular basis, you will get tons more miles and life out of it, than never changing it. Same goes with paint, and your exterior house painting and siding in Aurora, gaining many additional years of home protection of the outer layer which protects the most valuable contents inside, being You! Maintaining your home's exterior siding is an area that usually requires painting to some degree or another. The largest portion of a home's exterior is normally referred to in a house painter's language is body. The body of a home is the exterior portion where a typical siding material is found. Other portions of a home's exterior can include exterior doors, windows, trim, vents, and shutters. Maintaining and painting all exterior surfaces, especially the body is mandatory for lasting quality and sound substrate. Painting Masonite™ siding makes up the majority of a home's exterior painting, which this man-made product derived from natural wood fibers, most common siding in Colorado. These fibers are compressed, molded and shaped into a strong and durable sheathing, protecting the contents within the home. Normally this siding can be found at your local home improvement stores, Lowe's and Home Depot. Various sizes and widths may need to be special ordered, as individual locations may only stock certain sizes. Most Masonite™ siding comes primed, having a gray tint paint color, allowing for a quality exterior painting. Understanding exterior paint and how it ages over time will make perfect sense to the necessity of painting Masonite™ siding for a fresh, new, protective paint coat on your home's exterior siding. Any exterior paint, no matter what quality and warranty it may have, ages over time. This aging process occurs over different climate temperatures, UVA/UVB rays of our Sun, and moisture, drying back out. All major paint companies spend millions of dollars each year on Research and Development (R&D) testing their paint products, making sure they live up to the qualities and warranties provided. The longer an exterior paint keeps it's elasticity and tensile strength, the longer paint protection it gives the siding and exterior surfaces or substrates. Once this elasticity is gone, the paint becomes hard and brittle, which is when it can crack and chip. An exterior paint does not have to crack or chip before it looses it's protection characteristics. Once this paint hardens, moisture can get through it, through tiny pores, like your skin, and through any fasteners used to attach siding to the wall of your exterior. A good clue determining if this exterior paint is in need of repainting, one could see paint fade. Before going any further, I'd like to stop right here, and mention something very important from a paint warranty standpoint. If you read any back of any paint can, no matter what quality it may have, you will see, there is no paint manufacture who warrants paint fade. Knowing there is no way they possibly can warrant a paint fading, because of the colorants used, and where the siding is located to various climate, weather exposures, and directions they face, this portion of a paints quality is not covered from a warranty standpoint, although a very good determination it's too old. This is where so many exteriors get left in the dust, not maintaining, because not understanding exterior paint's attributes and characteristics, "Well, it's not peeling, so ok"
New siding replacements are prescribed when this exterior paint has "Seen it's last days" as well as the siding it was protecting. Once the paint protection is gone, leaving the Masonite™ siding compromised and exposed, this type of siding swells out like a sponge. The more "Swelled out" it becomes from it's original thickness, the more deterioration and less cohesiveness it has, crumbling with the least amount of resistance, just like a rotten termite infested piece of wood. If not replaced, no paint will last it's recommended length of time, none. Repeating, paint is only as good as the substrate it is covering. Sure, from a distance a new exterior paint job will look fine, but just don't walk up close to the exterior, hoping a young neighborhood kid does not hit a baseball over on this surface. With the structure of material compromised, this baseball would leave a dent, just as would marble-size hail. This deteriorated siding must be replaced with new if your planning on keeping it, or even if your not. Selling a property with this siding replacement still needed, would short sale your value immensely, not retaining full value of a home. Keeping home value and protection at it's highest, on occasions, new siding replacements may be necessary, or at least repairs. 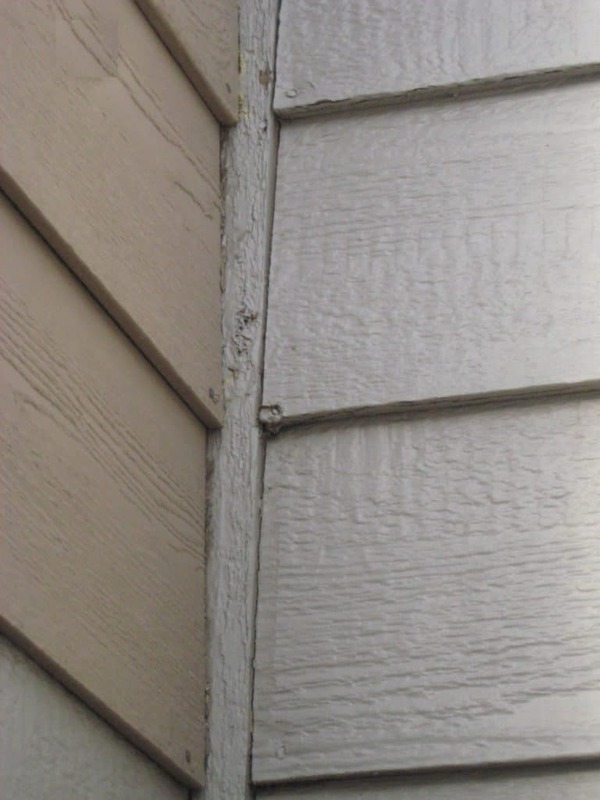 Siding repairs on occasion will properly maintain what is already damaged if some swelling has occurred, nails sinking in, but certainly not bring it back to it's original condition. The best house painting technique repairing siding is filling in nail holes that have sunk in using Crawford's Exterior Spackle. This comes in a quart can, and is easily applied using fingers and a damp/wet rag, wiping off excess, drying to a flat finish. Filling in nail holes with anything else, like latex caulk does not permanently cure the problem, and from an aesthetic point of view, making it much worse over the duration. As paint ages and dries over time, the satin paint sheen flattens out to a dry flat paint finish. If caulk was used say 10 years prior, filling nail holes, that portion will continue to stay shinny, giving the appearance of a ••• Polka-Dotted ••• siding, as the paint ages and flattens out over time. Getting a Free exterior house painting job in Aurora Colorado is rarely unheard of, especially in today's market. Both my customer and self were both trilled we were able to combine the two. Exterior siding is much more expensive to remove, replace, and dispose of old, we were able to comp. out the exterior painting of this home on Pagosa Way, charging normal exterior siding installation, having a brand new substrate to work with, and honoring the paint's warranty. Keeping the exterior paint fresh and new, will add many additional years of siding protection as previously described above. If new siding was not used, and only paint, this paint coating would not have any warranty whats-so-ever, being only a temporary fix to an on-going concern. Exterior painting along with new siding can add up very quickly, and trying to work with everyone's budget, my heart goes out to everyone, helping all those who need this siding and painting service, protecting one of their largest investments, a home. Certainly not charity, giving away a free exterior paint job in Aurora, but also not charging a premium price when allowed. If your in need of exterior painting, cannot guarantee you'll be offered a free exterior painting job, but what I can guarantee is if siding is repairable, we can fix it., If siding needs to be replaced, we can also help in this area of expertise as well. Not having to find multiple contractors is a plus for both siding and painting in Denver, Aurora, Boulder, and Colorado Springs. Keeping a fresh coat of paint to your exterior siding is so important, saving time and money in the long run, you'll be hitting a home-run being proactive with your exterior paint protection, painting your Masonite™siding correctly. 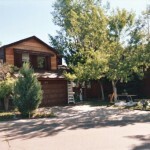 For all your siding and exterior painting , Eco Paint Inc., Painting Contractor Denver CO. 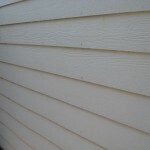 Locally owned and family operated, having over 30 years siding and house painting experience. exterior house painters in Denver, CO.